Softarea provides very Cool & Clean and Simple Login Form in Photoshop PSD Format. 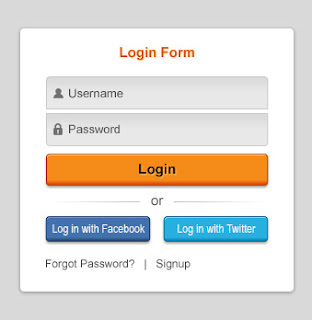 The login form graphic is modern in its outlook and includes options to login using Facebook and Twitter buttons. So cute and handy! The web element comes in full shape layers PSD file so you can easily edit the form to fit your design need. Scroll down and click the download link to get the free PSD file right away. Tenho verificado que seus tutoriais,são de muita ajuda para as pessoas em geral,fico satisfeito com isso.